Unrelated… Does anyone know if DOT publishes street painting schedules like they do with paving? Ave A was repaved over a week ago, and there are still no bike lanes or crosswalks. After they repaved E 7th st a good while ago (last spring perhaps?) they never painted crosswalks on it, e.g. at the intersections of E 7th with Ave A (by Tompkins Sq Park) or with 1st Ave. Did they just give up on painting crosswalks in the East Village? How much longer can it take? I’ve called 311 to report cars parked where the crosswalk should be painted, but is there anything else one can do to nudge DOT to get this done? Again, the question is whether that is actual cash money collected in FY 2018? Or just a promise by Generation Greed to borrow more and not pay it back? As for Cuomo robbing transit riders, I assume that he will not be the personal recipient of the $65 million. And I don’t recall any tax cuts this year — taxes are increasing. So part of the discussion of where the money is not going is where the money is in fact going instead. And part of that discussion is how much is being spent in each case relative to other places, and relative to the past. 1) Why can’t DOT just anchor the planters down? 2) With all the security here, NYPD really can’t figure out who is doing this? Much of the illegal parking on this street is by the NYPD, so they may well be the ones doing it. Rule of thumb is markings come about 4 weeks after paving. 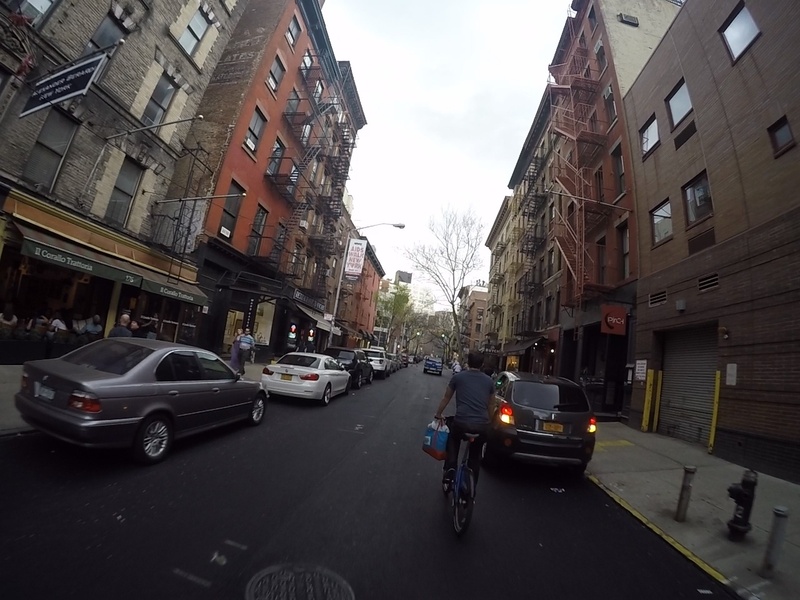 Prince St “bike lane” was fun this weekend. Will the new ferries have the equivalent of BusTime real time information shared on the Net and Smartphones? Oh, they finally repaved. It had been torn up for a couple of weeks.